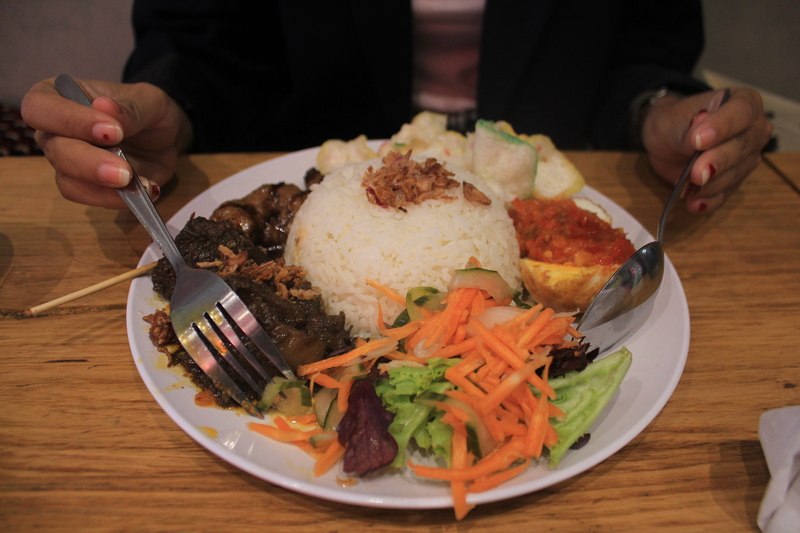 My friends and I trying to explore Indonesian food in Melbourne city. 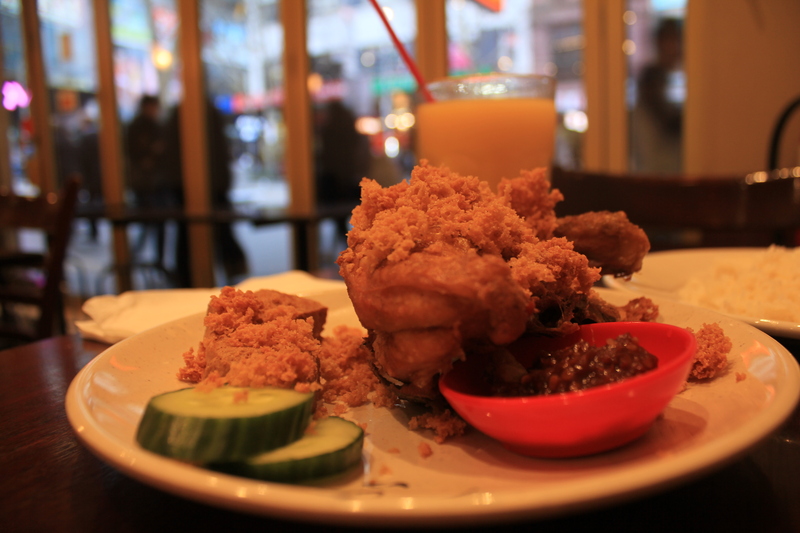 It’s interesting to do instead of missing Indonesian food, we would love telling story about the food. It started from the place called Nelayan Restaurant. There is Ayam penyet that we chose. 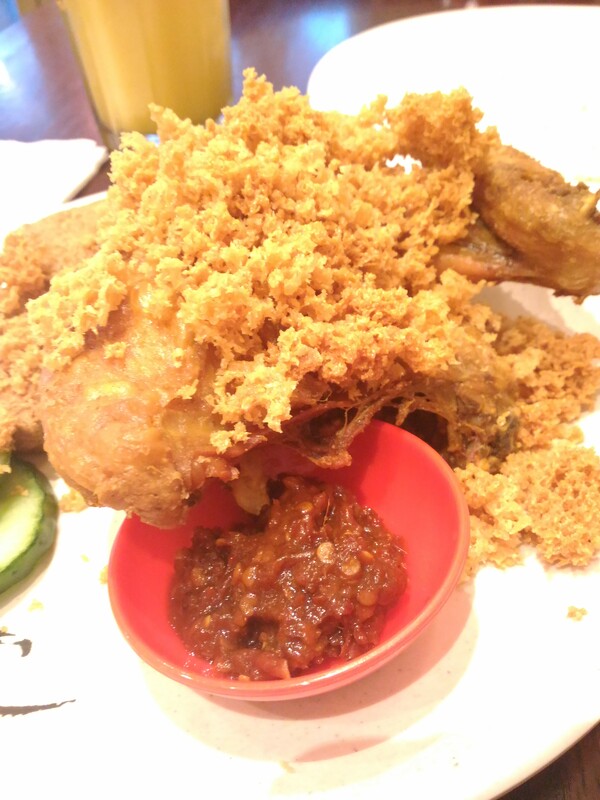 It was massive Ayam penyet but we still feel the authentic taste of Ayam Penyet in it. The sambal is also very good and tasty. For accompanying Ayam Penyet, there is a mango juice next to it. 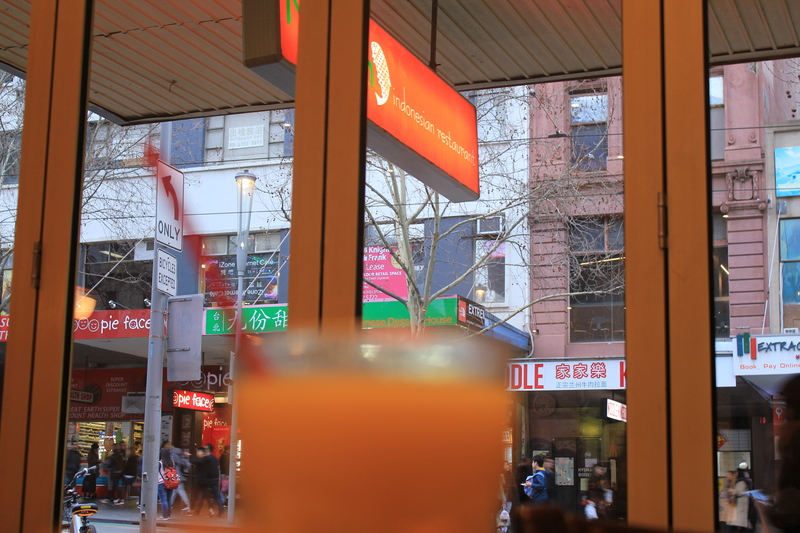 Next place is Pondok Rempah near Queen Victoria Market. We got Grill ribs with Rujak flavour and Chicken Satay. It was good but the rice was just too much for us. We couldn’t finish it. We ordered traditional drink called Beras Kencur and Indonesian jasmine tea that my friend loved. The third place is called with Fat.Oma. It is next to China town. 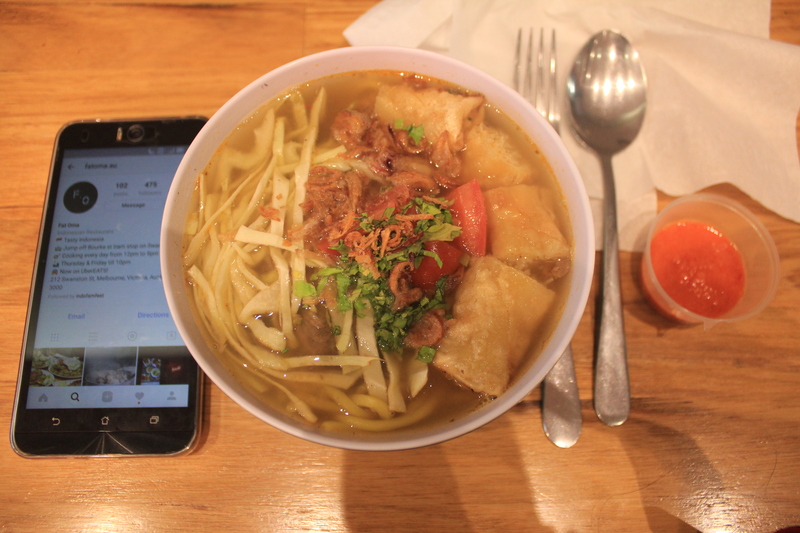 I ordered Soto Mie, kind of soup with noodle and noodle roll in it. 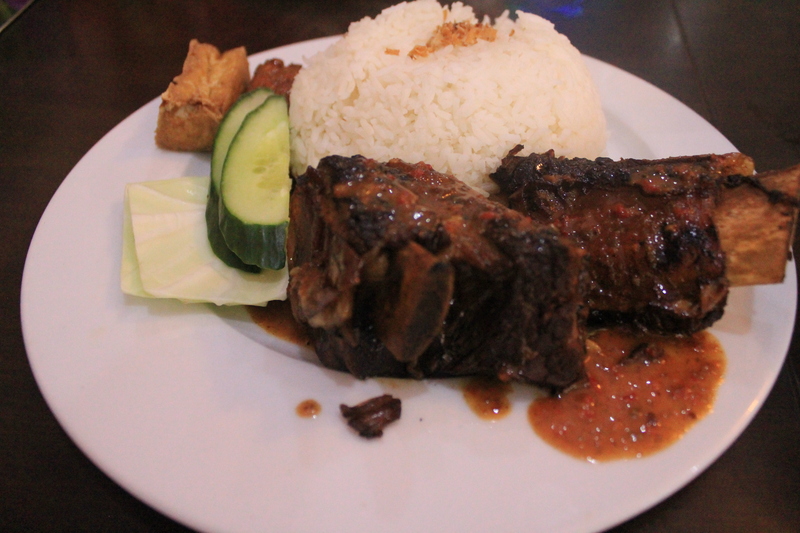 My friend ordered Nasi Oma which has completed stuff such as veggies, and meat also Indonesian chips called Krupuk. It’s not too big for the portion so we could spend all the food. It tasted good also. 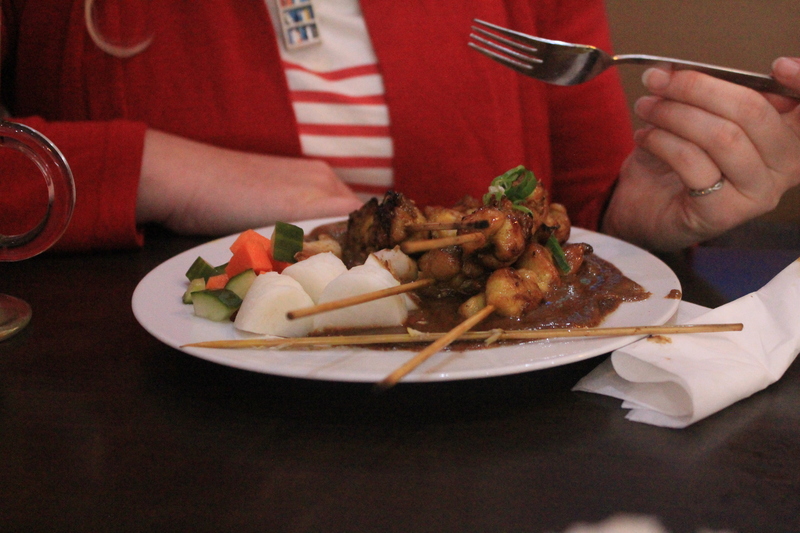 Well, that’s the story about Indonesian food in Melbourne so far. Hopefully we can taste more and we can share it to you.